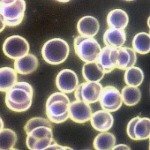 Is it worth being sick? Isn’t prevention better than cure? I learned the hard way. Doctor after doctor could not find what was wrong with me after having one miscarriage and two stillbirths. The doctors finally said I had lupus, but it didn’t add up because the blood tests were not conclusive. They gave me prednisone and heparin for the third pregnancy. I had a stillbirth at six and a half months anyway. I was frustrated not knowing where to turn. I prayed that GOD would show me the answer before I tried again; I was determined not to give up. When I thought it could not get any worse, it did. I got hives all over my body. I was ashamed to go outside. The doctor gave me steroids which worked for a day or two and then got worse. 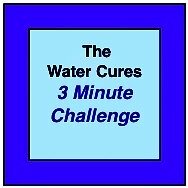 Searching the internet for answers; I came across the Water Cures. Desperate, I saw how sea salt and water were so powerful. I was a little skeptic at first, but I decided to try some of the salt in my cupboard with some water. I was in shock because within two hours all the hives disappeared. I didn’t take any medications. I knew I had to get in touch with someone from this website. I emailed and Jim Bolen responded. I was still skeptical but I remembered what the salt had done for me so I decided to give it a try. 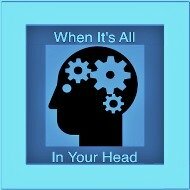 After learning about the Water Cures; I felt blessed with a second chance and I started “cleaning house” in my own body, using sound nutrition to undo all the mistakes I had made in my twenties and early thirties. The knowledge of how my body truly works gave me the power to control how I looked and felt; which brought with it inner peace and confidence. More than the physical effect I felt a spiritual change come over me. Several months after starting on this program I became slightly ill. To my surprise I found out I was pregnant again. Jim suggested I pray and I did. I knew GOD wanted me to continue on this program and have faith. My ob-gyn did an ultra sound and to my shock and pleasant surprise he said it was twins. I said GOD is giving me two when I wasn’t able to successfully carry one. I will do my part and Jim will do his part. I had experienced edema in my early pregnancies. But this pregnancy, I had no swelling of the feet, no high blood pressure, no abnormal blood tests. The doctors and nurses marveled at how someone with twins had no high blood. Pressure, no edema, no gestational diabetes, etc. I just gave them a smirk as if I didn’t know what was causing this. In my 37th week of pregnancy I gave birth to two bouncing WaterCure babies, my miracle children. My second short story is my sister who was recently diagnosed with Type 1 Diabetes. Her blood sugar upon diagnosis was so high the meter couldn’t read it. In seven weeks following the suggested program, her blood sugar was back to normal and I didn’t need to give her any insulin injections. She is not fully on the program now because she refuses to exercise and take the salt and supplements and her insulin requirement is back. This lifestyle has proven successful for me and my family for over two years now, keeping us healthy, energetic, and satisfied. I never knew self-healing was possible. But thanks to GOD and his vessel, Jim Bolen he used to spread his message of healing. We all spent approximately nine months in our mothers belly (womb) floating in salt water (amniotic fluid). The human brain and spine are in a sac of salt water called CSF (Cerebrospinal Fluid). This liquid circulates throughout the brain and spinal cord. Our tears are salty and we sweat salt. Our bones are hollow in the center (marrow) where blood cells are made. The marrow is covered with many strands of calcium salts; the way rope is woven together. Salt crystals are woven in with the calcium and these salt crystals are what make our bones hard, not the calcium. Twenty-seven percent of the body’s salt content is located in the bones. When the body requires more salt it may borrow it from the bones. 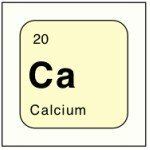 When this happens, calcium is also removed with the salt making the bones thinner, softer, and brittle. Salt is a compound made up of sodium and chlorine. Together they are called sodium chloride (NaCI) Sodium is a soft positive charged metal where chlorine is a negative charged gas that becomes a liquid when put under pressure. Chlorine is a gas/liquid but somehow when the earth was formed the chlorine became a solid with the sodium and trace minerals. The salt we use today comes from our oceans, leak, or salt mines. In addition to sodium and chlorine, all the salt on planet earth comes with many trace minerals mixed into it because of the commercial value of these minerals they are removed in order to make big profits. The human body is able to split chlorine form the sodium as needed. Our blood requires chlorine as do many of our organs. The stomach uses chlorine to make hydrochloric acid required so we can digest our food correctly. Our body also uses the sodium chloride as salt to keep the brain, spine, tears, bones, sweat glands, organs, and blood topped off with salt. The body benefits from the other trace minerals that help make it alkaline and healthy. Just as drinking too much plain water can kill a person (hyponatremia). The same thing is true with taking too much salt. It can cause swelling, diarrhea, and death. an anti-caking agent is added that stops the salt from clumping together. One of the reasons we eat way too much sodium today is because of the food additives used in many foods. Some of these additives are sodium bicarbonate, sodium nitrite, and MSG (mono sodium glutamate). Sodium, potassium, and chloride are electrolytes (special minerals) that dissolve in water and carry electrical charges anywhere there is water in the body. These electrically charged minerals can freely move into a cell and back out again carrying nutrients in and removing waste products and excess water as to keep the cell balanced. At the same time as these electrolytes move in and out of the cells making their exchanges; a delicate balance of potassium inside the cell must be maintained with a special amount of sodium and chloride to hold the potassium in the center of the cell. Electrolytes are found in all fluids of the body and carry electrical impulses along your nerves. This helps your muscles like the heart and diaphragm to contract and relax. If a person loses to many of these electrolytes from having diarrhea or from taking a water pill (diuretic) they become very sick and must go to the hospital and receive IV’s of saline (salt water),dextrose (sugar water) and minerals. Scientists and doctors still don’t know how salt dissolves in water or how it can keep getting saltier and saltier. Scientists and chemists have some theories but can’t prove any of them. Salt has many other functions than just regulating the water content of the body. *Salt is a powerful, natural antihistamine. The next time you get a runny nose or watery eyes from allergies; try drinking a glass of plain water, and then put a pinch of salt on the end of your tongue and let it dissolve. *Asthma symptoms may be relieved by drinking one or two glasses of plain water, then putting a pinch of salt on your tongue and let it dissolve. You may want to try in next time…before using your inhaler. *Salt helps to lower high blood pressure and heart attack risks *Irregular heartbeats may be stopping by putting a pinch of salt on the end of your tongue and letting it dissolve. 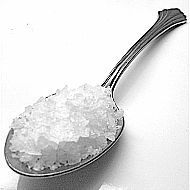 *Diabetics may lower their blood sugar levels and reduce their need for insulin by taking salt. *Kidneys will not work correctly without salt. *Stress, depression, and emotional problems are greatly relieved by taking more salt, drinking plain water, eating correctly and walking. *Our digestive system requires salt to properly absorb the food we eat. *Bladder control problems and unintentional urine leakage may be helped by adding more salt in to your diet. *Asthma and emphysema sufferers may be able to get rid of mucus and phlegm in their lungs by using salt and drinking plain water. *Gout symptoms may be prevented by using salt. *If you get muscle cramps (Charlie horse) salt may relieve them. Try putting a pinch of salt on the end of your tongue and let it dissolve. *Bones mostly get their hardness from salt. *Osteoporosis may be caused by not taking enough salt and water every day. *Taking salt and drinking plain water before exercising may help you to breathe better. For decades Americans have been told to eat less salt in order to avoid having high blood pressure and help protect against heart attacks. Why then, with all our great medical advancements, do more Americans have high blood pressure today than they did thirty years ago? Could one reason be the much hyped low-salt diet? water) and possibly an IV of dextrose (sugar water). They may also give you an IV of vitamins and minerals. Why then, when you leave the hospital and go to your doctors for a follow-up, at some point you will be to stay away from salt once again? WHY DO YOU GET HIGH BLOOD PRESSURE ON A LOW-SALT DIET? Dr. Batman told Jim salt and potassium together regulate the water content of the body. Basically, every cell in our body has an ocean of fresh water inside the cell and an ocean of salt water outside the cell. Good health depends on a most delicate balance of the water between those two oceans. Salt forces water to stay in the outside ocean of water of the cell (osmotic retention) and potassium holds water in the inside ocean of water of the cell. When the body is low on water (you are not drinking enough) it will increase the volume of salty water in the outside ocean of the cell. Dr. Batman explained our body will release a hormone (vasopressin) that can filter out the salt from the outside ocean and inject some fresh water into the center ocean as needed to maintain the delicate balance. AT THE SAME TIME YOUR BODY WILL TAKE UP TO 8% OF THE WATER FROM YOUR BLOOD. For this method to work, vasopressin cause the capillaries and blood vessels to tighten up, giving you high blood pressure, which is necessary in order to filter and inject water from the outside ocean of water into the inside ocean of water. Once cause of high blood pressure is a lack of fresh water for the inside ocean of the cell. We call it hypertension. 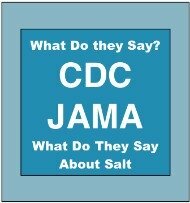 Dr. Batman told Jim, if a person will walk (exercise) place a little salt on the tongue before drinking plain water (in the place of coffee, tea, soda) and add just a little more salt (not sodium) to a balanced food program, their blood pressure should normalize again. HOW MUCH SALT SHOULD YOU TAKE? Dr. Batman told Jim personally he suggests as a rule of thumb to use…. 1/8 tsp (3/4g) of salt (unrefined sea salt is best) for every 16oz (1/2) liter) of plain water you drink…. ½ tsp. (3g) of salt for every ½ gallon (1.89) liters) of water and 1 tsp. (6g) of salt for one gallon of water. Almost all the food we eat contains some amount of potassium. Because of this, salt (not sodium) should be added to our food so our body will maintain the proper balance of water between the inside and outside oceans of water in our cells. NOTE: If a person is not going to the bathroom at least three times per day, they should check with their doctor first before drinking more water and taking more salt. Your kidneys must be working properly. This means… the amount of liquid you drink should be almost equal to the amount of urine you are eliminating every day. Salt can be very harmful to the human body…if the proper amount of plain water is not taken with it to keep the proper balance of electrolytes. Be very careful when adding more plain water to your diet. Add it very slowly so the water will not act as a diuretic, causing you to go the bathroom too frequently (too many trips) during the day. This pulls important vitamins, minerals, and electrolytes out of your body causing more medical problems. Just like you have to keep filling up the gas tank in a car it will stop running the body works the same way. 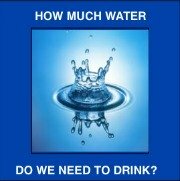 You must drink water at regular intervals throughout the day because our body does not have a “gas tank” to draw from. When you drink plain water the body uses what it needs right away and what it doesn’t need goes to the kidneys and out of the body. If a person has some swelling (edema) which is not from an injury or surgery and wants to get rid of it, Dr. Batman told Jim personally that water can be used as a natural diuretic providing their kidneys and heart are working ok. When we drink enough water to pass clear urine, we also pass out a lot of the salt that was held in the body. 1. The BEST WAY is to put the salt on the top front part of your tongue, making sure that you taste the salt, and then drink the water to wash the salt down. 2. If you are very salt-sensitive, then you would get some empty capsules and put the amount of salt you require into the capsule and take it with your water. 3. Mixing salt into the water for drinking is not a very good idea. Only young children and seniors that are have trouble remembering things should mix 1/8 tsp. of salt into 16 oz. of plain water and drink their water this way until they start remembering things again. causes high blood pressure and everybody should be on a low-salt diet. While treating his patients, he started to notice the ones who had high blood pressure received very little benefit from a low-salt diet. Most of them were also low on minerals. In his search for ways to help these patients he came across unrefined salt. By suggesting that his patients should use unrefined salt, which has over 80 trace minerals in it, he noticed something strange start to happen. His patients with high blood pressure were finding that their blood pressure was actually coming down. To the point they could come off of their medications. Dr. Brownstein, MD has a current medical practice at the Center for Holistic Medicine, West Bloomfield, MI 48323 www.drbrownstein.com. Dr. Brownstein’s book, “Salt your Way to Health” will show you how adding the right kind of salt to your diet can help: adrenal disorders, blood pressure, cholesterol levels, fatigue, headaches, and immune system function and thyroid disorders. I am a 33 year old stay at home mother of a 14 year old son, a 3 year old daughter, and a 4 month old daughter. I home school my son, and plan to do so with the rest of my children. For the past few years though, I have felt like my life has been jus non-existent. I felt like I was in my 80’s instead of my 30’s. I had to force myself to do ANYTHING. I was gaining more and more weight every year. I was getting more depressed the older I got because I realized I was completely wasting my life. I tried everything under the sun to help get even a little energy. I knew if I didn’t do something soon, there was no way I could continue home-schooling. I was having a hard time keeping up with housework, laundry, grocery shopping…EVERYTHING! Plus add to that; nursing a baby… I was totally drained. everything. Joe was working all day, then coming home and cooking, cleaning, and trying to keep up with laundry. I was so ashamed of myself because he never even complained about it. He always just said that he knew I didn’t want to be like this but I couldn’t help it. What a wonderful guy, Huh? That made me even more depressed. How could he be so loving towards his worthless wife? Then everything changed. 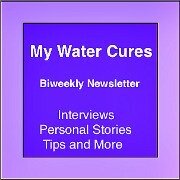 I happened to stumble upon the Water Cure web site and saw where it had “supposedly” helped others with lots of different problems, including fatigue. I was pretty skeptical. I had already tried everything else, but what could it hurt to try water? So I started out drinking half my body weight in water and taking 1/8 tsp of sea salt for every 16 oz. of water. After a week or so, I was getting a little disappointed because I really wasn’t seeing many results, except that I wasn’t as hungry and I was urinating all of the time. So I sent an email telling them my situation, and Jim Bolen called me. Jim asked how I was feeling. I told him that I was still tired. Then he asked me to do something that seemed about as crazy as anything I have heard. He had me go out to my kitchen and put sugar on my tongue and let it dissolve then take a drink of water. really didn’t feel any different. So he had me do it again, and asked me if I had any potatoes or pasta that I could cook up now and eat. I started cooking some macaroni. But I thought that sugar was bad for me? After a few minutes I felt great! And after eating some macaroni and cheese, I felt great the rest of the day. I even survived a trip to the zoo. As it turns out, everybody is different. You can’t just start out taking salt and water and expect to be fixed, everything takes time. One of the biggest things I have learned with this is patience. I wanted to just jump right in and start drinking half of my body weight in water; but I was urinating it all right back out. Jim suggested that I try eating a bagel with my water at to help me retain my water, but I wanted to lose weight and I knew bagels wouldn’t help with that. So I came to realize that before I worry about losing weight, I needed to worry about getting properly hydrated, which meant training my body to hold on to the water for at least two hours. I now feel better than I have in years! I am starting to hold my water for longer and before long I know that I will be right on track. I have also found that eating a potato throughout the day helps keep my energy up too. happier, my laundry can’t keep up with ME and everyone else sees a new person! The Water Cure has been a prayer answered. Nobody has tried to get any money from me. Nobody had tried to scam me in anyway. The only cost I have in any of this is the cost of the extra eggs (LOL) but that makes up for the chocolate addiction I was feeding every day. I truly believe that God is using Dr. Batman and people like Jim Bolen to reach people like me; who just feel there is no hope. Jim will never know how much he has done for me and my family. He has given them the wife and mother that they deserve. I no longer feel like a waste, or like someone trapped in a body that doesn’t work right. And for that, I am ever so grateful.